How Far is JMM Navya Apartments? Elegantly Designed Navya Apartments is a Gated community, providing apartments at highly affordable rates with high quality specifications and finishes. The project is aesthetically designed keeping the minute details in mind. There are two blocks for you to choose from. All the flats in each block are vaastu compliant and consist of a range of two bedroom apartments. 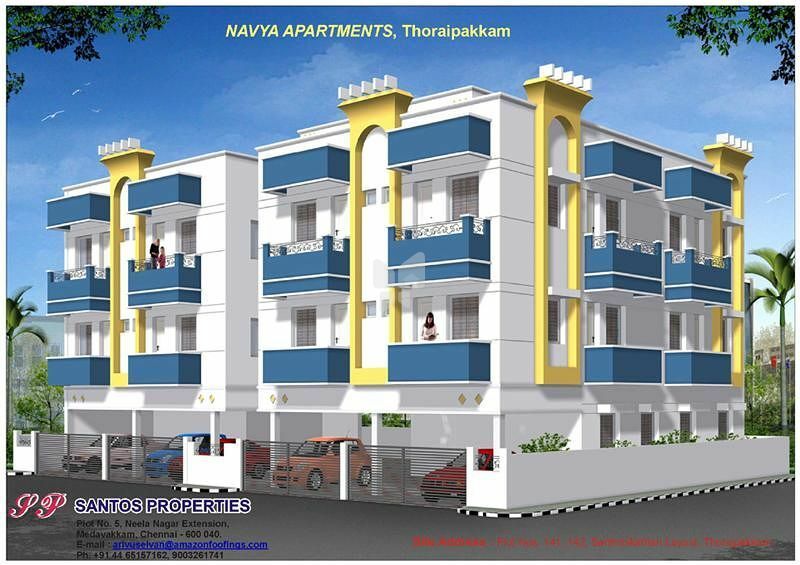 Being in the neibhourhood of IT corridor ensures that your apartment appreciates both in capital and rental values.Thoraipakkam has experienced substantial growth over the past decade, and it serves as a residential and commercial hub for suburbs in the south of Chennai. A number of information technology companies are based in Thoraipakkam. Surrounded by highly ranked Schools, Colleges, IT Parks and Special Economic Zones, it’s a highly desirable and established neighborhood. Washing machine points etc. in addition to lights, fans and calling bells.